PR firms should take the proper steps to preserve the attorney-client privilege. During crises, companies often manage and align legal and communications strategies. At the same time, they must focus on managing how internal and external stakeholders will view the crisis and any accompanying legal proceedings. The coordinated efforts are even more important given social media and the 24/7 news cycle. In these circumstances, companies and their lawyers have increasingly turned to PR firms for help. One important value-add PR firms can and increasingly do provide relates to attorney-client privilege, which protects communications between attorneys and their clients made in confidence to obtain legal advice from their lawyer. The importance of this privilege cannot be overstated. It allows attorneys and clients to form a legal strategy without fearing their discussions will be discovered in litigation or an investigation. Generally, including a third party like a PR pro in attorney/client communications will destroy this privilege. However, in some of theses cases, such as when a third-party is helping to provide legal advice, courts have upheld the privilege. Accordingly, when PR is a component of a legal strategy it is essential that the attorneys, the PR firm, and ultimately the client take proper steps to ensure communications are protected by the privilege. A recent California case highlights the benefits of taking these steps. In Stardock Systems v. Reiche, the defendants believed the plaintiff was engaging in a "public relations war against them, consisting of hundreds of posts on online forums and social media platforms." To combat those posts, the lawyers for the defendants hired a PR firm to provide input on legal strategy, including communications about the case to counteract the plaintiff’s negative statements. Around four months after engaging the PR firm, the plaintiff issued a subpoena to the PR firm about its communications in the case. The court quashed the subpoena and held that the PR firm’s communications were protected by attorney-client privilege. The court reached this conclusion because the defendants’ lawyer, not the client, hired the PR firm. Also, the PR firm was hired specifically to provide PR counseling in connection with the litigation. And finally, the PR firm actually provided that advice. Because attorney-client privilege is so important, here are several steps PR firms should take when assisting with legal strategy. First, contract with the attorney. PR firms should contract directly with the attorney, not the client. When considering privilege, courts generally first review who hired the PR firm. Describe the engagement. Courts also review the PR agreement. Accordingly, PR firms should ensure it explains how the engagement is designed to support the legal advice and strategy. Copy the attorney on communications. A critical element is that all communications involve an attorney. The client’s attorney should be copied on all communications between the client and the PR firm and they should all contain a legend stating "Attorney-Client Privilege." Further, the PR firm’s main contact should be the attorney, not the client. Keep the communications confidential. The privilege can be waived if communications are disclosed to third-parties. So PR firms should not share any related communications with anyone not necessary to the provide the legal advice. Send the bill to the attorney. PR firms should also bill the attorney directly, not the client, although clients can be copied on invoices and may even pay them. The invoices should describe the PR firm’s activities as a function of supporting the attorney’s provision of legal advice. Keep the legal-related work separate. The work in support of legal advice should be kept separate from general or day to day services for the client. This means a separate agreement with the client’s attorney, separating the legal PR advice from other work, and sending separate bills. A PR firm should immediately raise the issue of attorney-client privilege and suggest taking appropriate steps to protect that privilege any time a client’s attorneys are involved. Raising this issue is another way for PR firms, especially those involved in crisis communications, to demonstrate their expertise and value to clients. 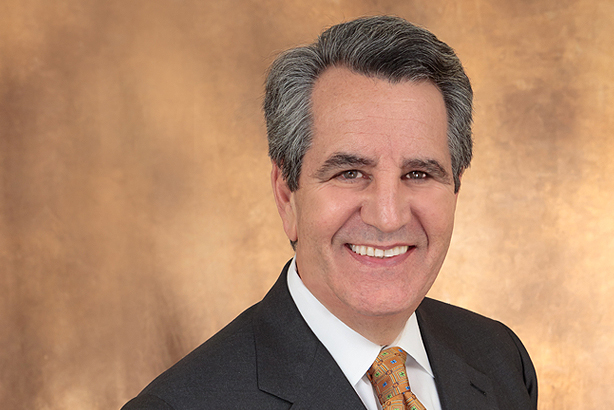 Michael Lasky is a senior partner at the law firm of Davis & Gilbert, where he leads the PR practice group and co-chairs the Litigation Department. He can be reached at mlasky@dglaw.com. Josh Podolnick, a Davis & Gilbert associate, assisted with this article.